new octagonal countermark was used instead. 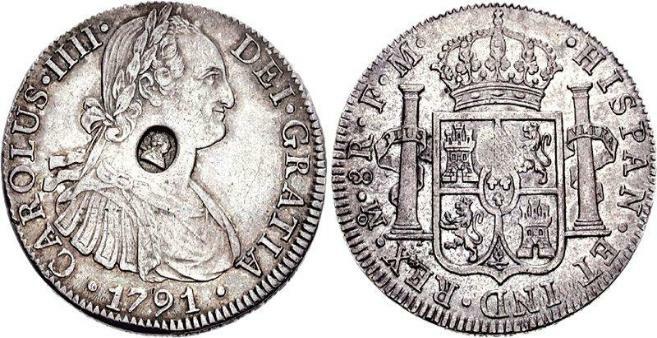 Dollar" design was overstruch onto the Spanish 8 real coins. 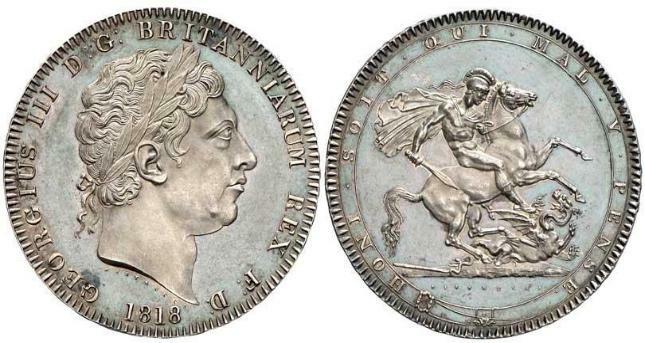 Mathew Boulton mint in Birmingham. Pistrucci. It was used until 1820. 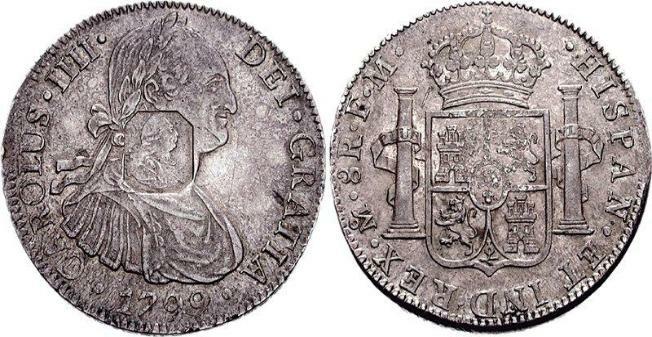 1804 Silver, 26 grams, 41mm Diameter. 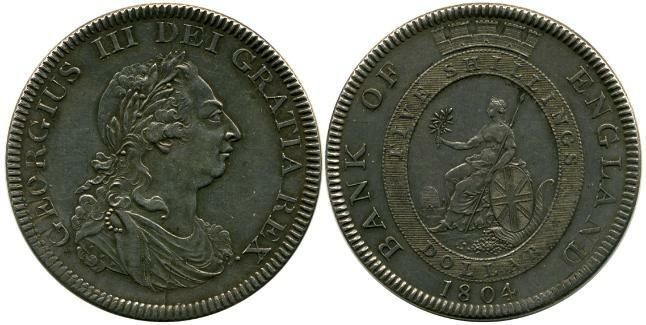 1818-1820 Silver, 28.2 grams, 38mm Diameter.